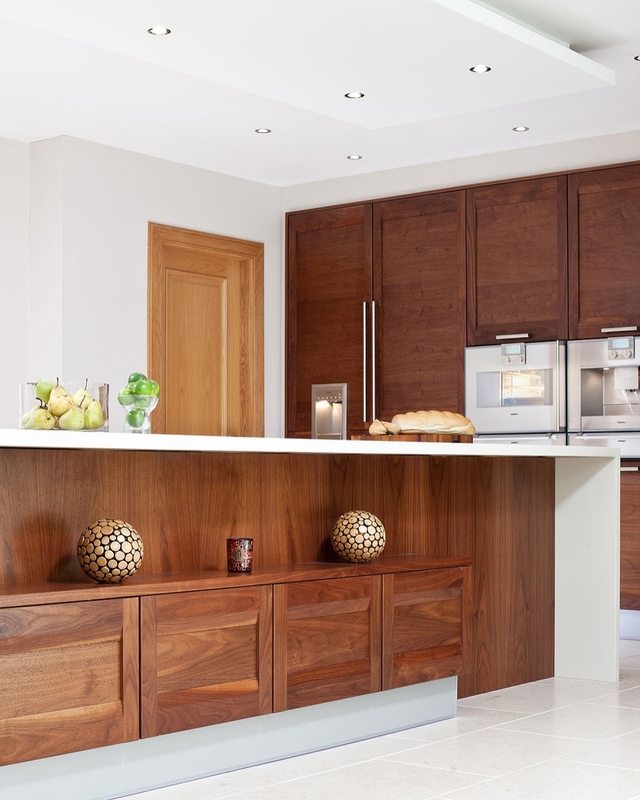 About six years ago Julie saw a picture of a walnut kitchen in a magazine that combined traditional with contemporary and had always dreamed of having this look in her kitchen. 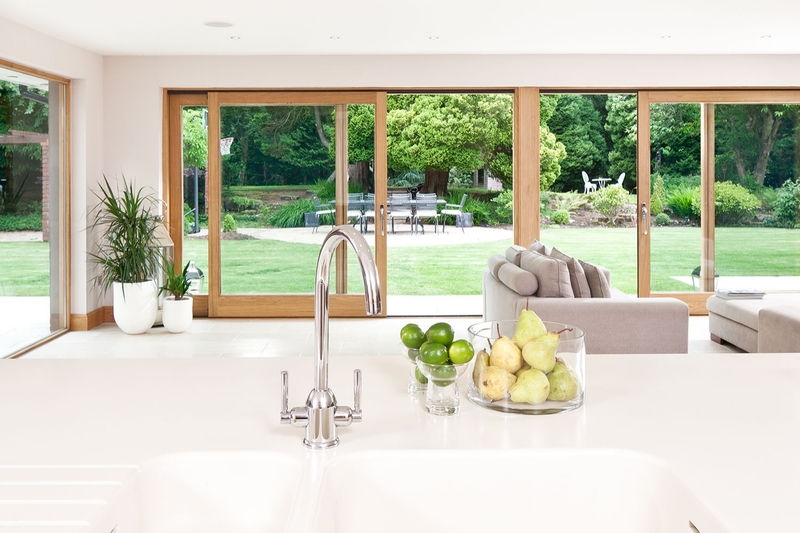 With the cutting in her hand she headed to our Glasgow showroom on Great Western Road and there along with our designer created the kitchen of her dreams. 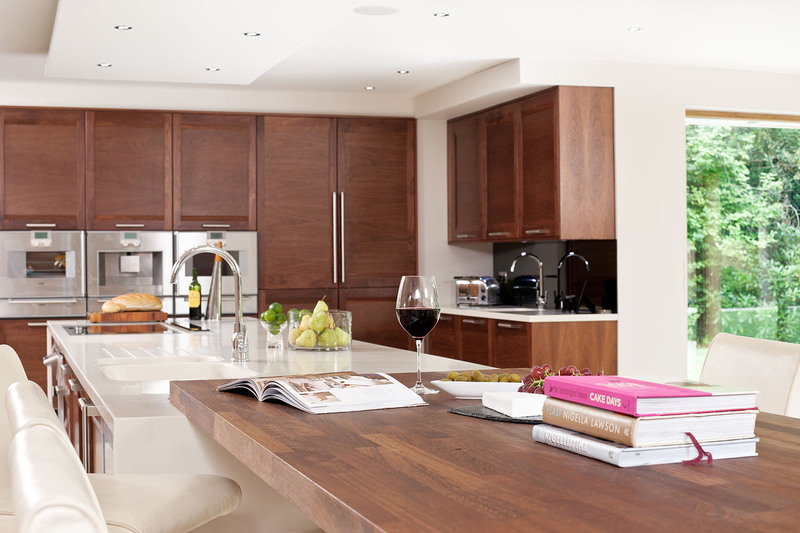 Our design team developed a design for a sweeping long island flanked by tall cabinets at both ends of the room. 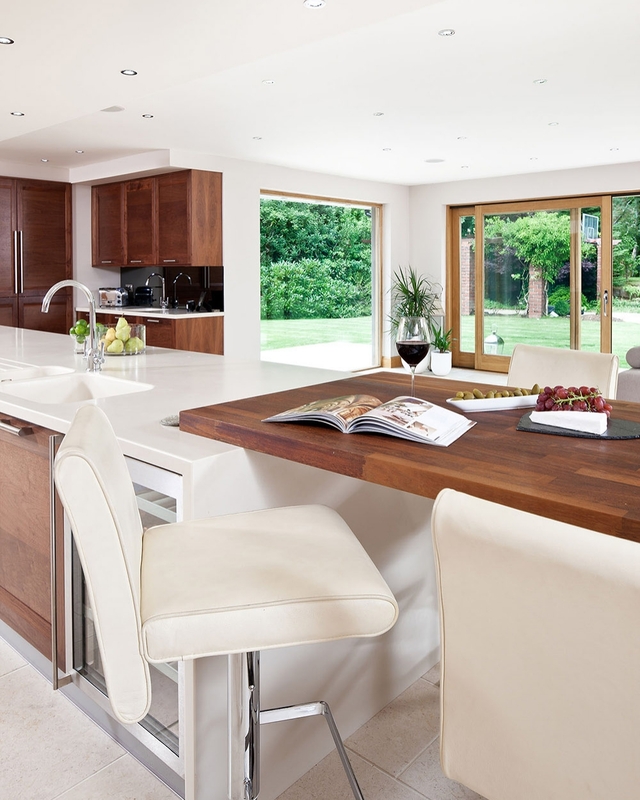 This gave Julie plenty room to cook away to her heart’s content while still socialising with family and guests. 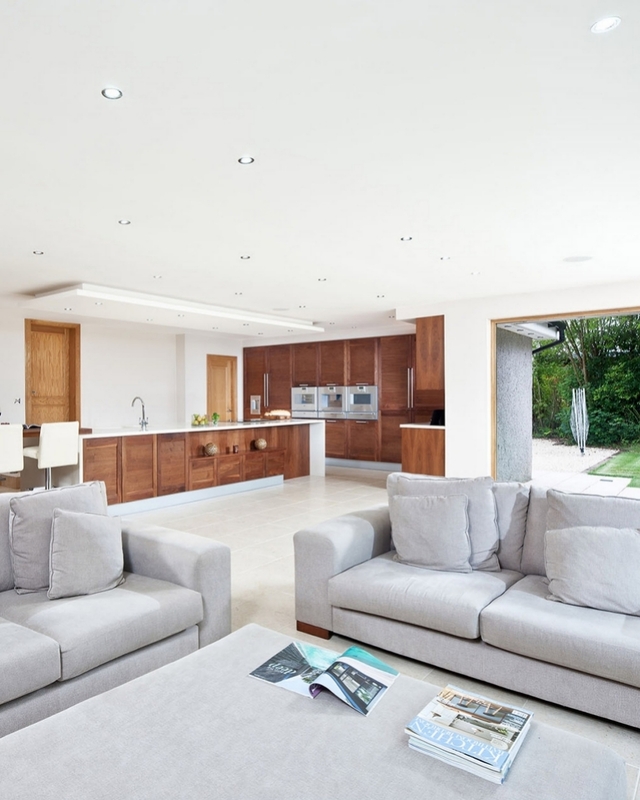 With such a large room to fill – 10.5m by 8.5m - the layout had to work well without looking ‘lost’ in such a large room. 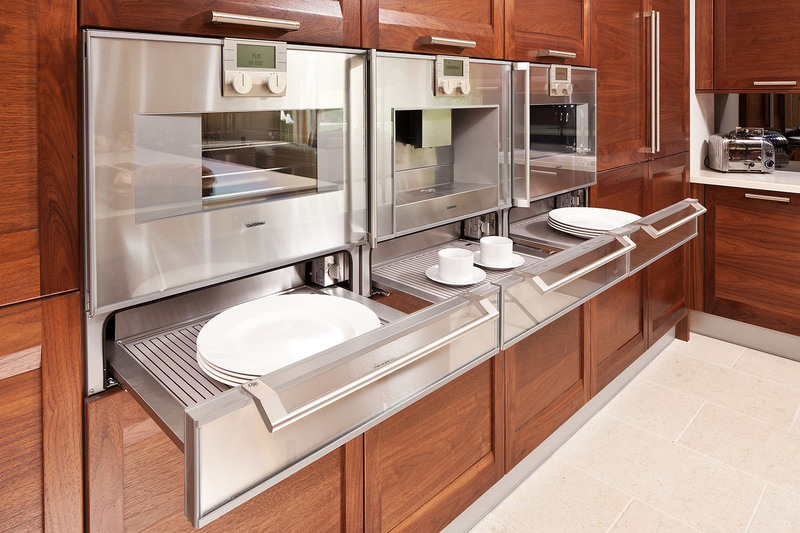 No-one wants to have to walk miles between cooking; storage and washing up areas but equally you don’t want everything bunched up. So our designer created one of the biggest islands ever designed by the company – 6.5m. 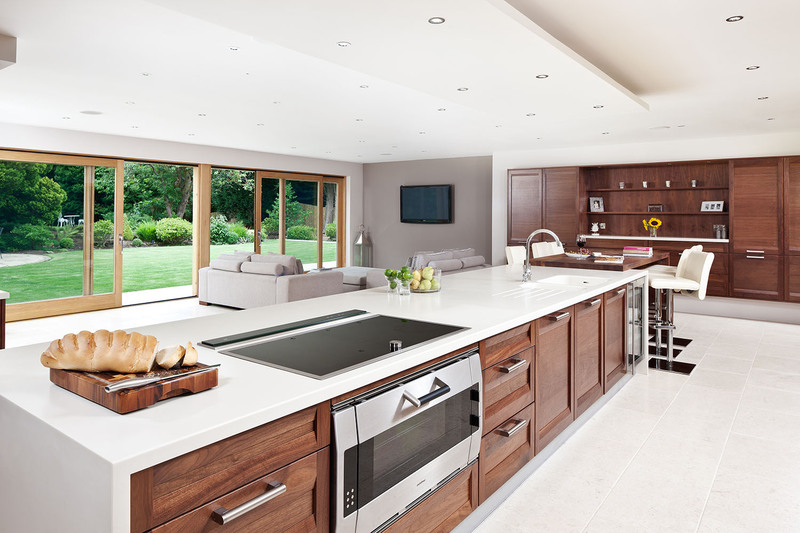 At one end is the working zone, complete with hi tech hob, ovens and other appliances while at the other is a breakfast bar with food prep areas and a sink in the middle. This is the main cooking station for Julie who can enjoy looking out over the garden while she is working. 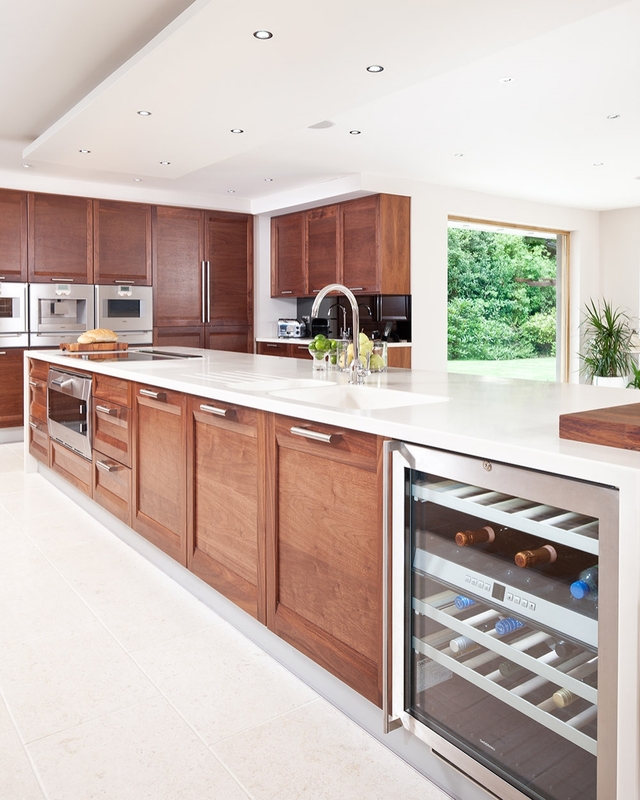 To create the look the Lynch’s wanted, our designer mixed black walnut veneer cabinetry with a stunning seamless Corian work surface in a bone colour. This combination could be overwhelming in a small space but here it brings warmth and impact, which blends well with a natural limestone floor.